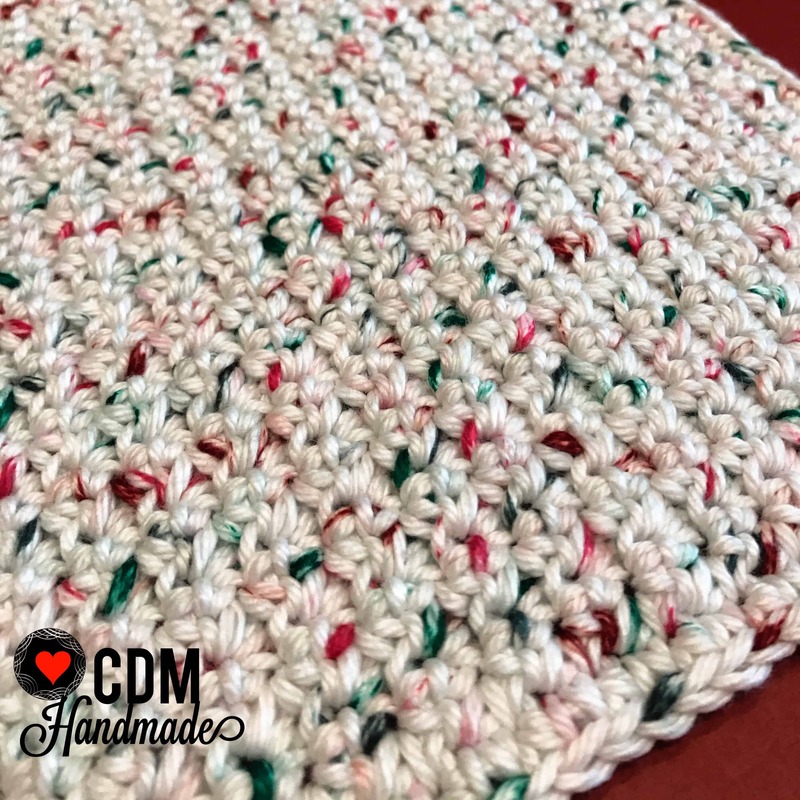 ← Welcome to CDM Handmade! In “Row 1, chain as described above” , what does that mean. Above that all that was described was the stitches used. 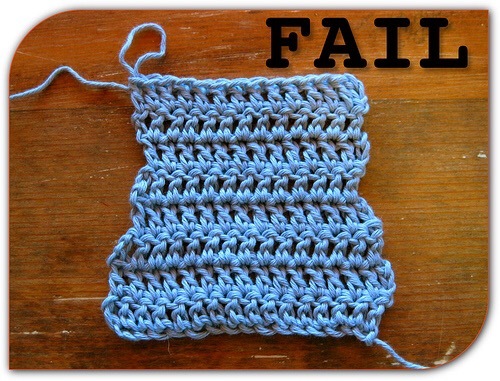 Also, in row 2 you state to repeat until 1 stitch is left, then you say skips that stitch and sc in the next stitch. THERE IS ONLY 1 STITCH LEFT, how do we skip it AND stitch in the next stitch. Some of us are new to this too and this is very confusing. I had to undo and redo this.3 times and it never came out right. If I am wrong please explain it to me. Hi Anna! I’m sorry you’re having frustrations, I know how hard it was when I first started so I really do empathize! When I wrote “chain as described above”, I simply meant the line right above where it says to “Chain 37”. I’m sorry if that was misleading! In row 2, this is a tricky part that I can see where you might be confused. 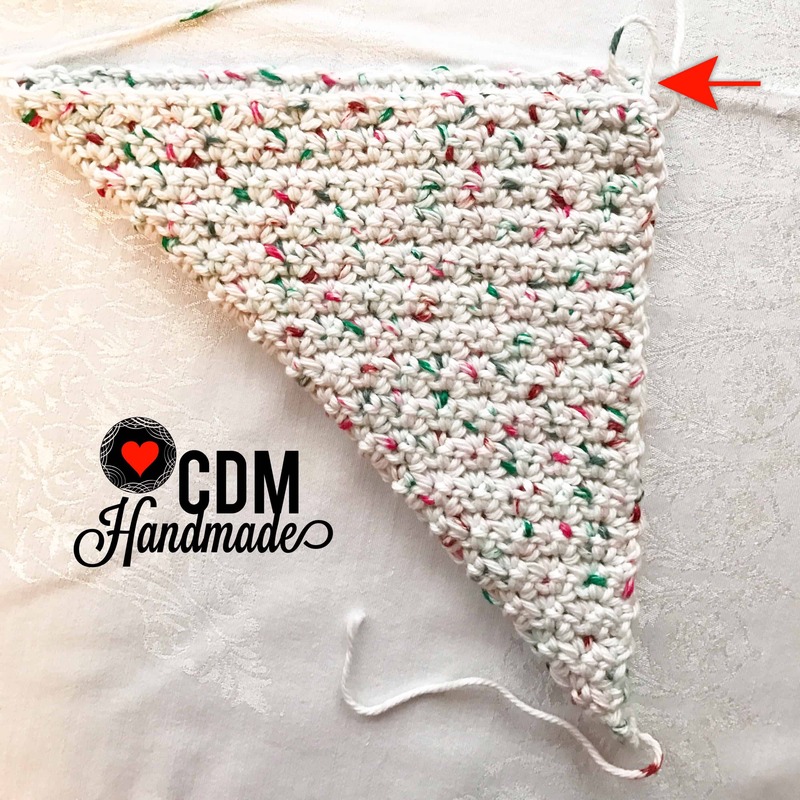 You do go until there is only one stitch left and then you put the last single crochet into the turning chain from the previous row, NOT into a stitch. I will try to post a picture in a little bit to see if that helps clarify for you. I hope this helps! Let me know if you get it to work! love this stitch but have a question that might seem silly..in the photo where all 4 corners are folded is that a pot holder? Just finished making this pattern. Super easy and so pretty. Can’t wait to make more. Thanks for sharing. I was wondering that too. It would make a nice potholder. Hi! I love this pattern and it is coming along nicely for me ( I’m a newbie!). I would like to make the next one less wide but am unsure how to modify the foundation chain. Is it a multiple of 5 plus 2 or a multiple of 6 plus 1? 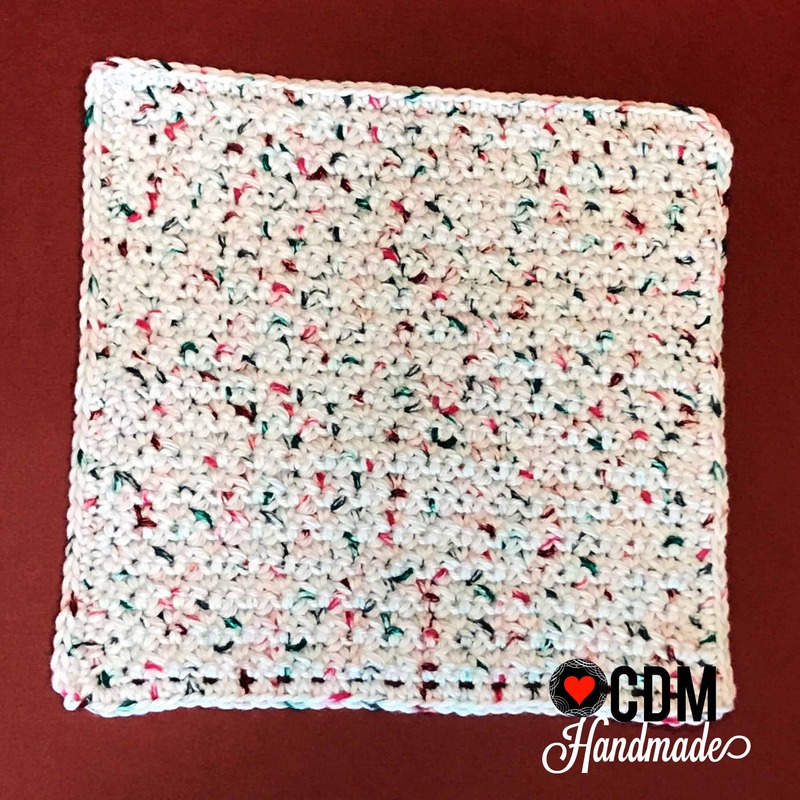 Thank you for sharing this pattern! Hi Carol, I’m glad you’re enjoying the pattern, and welcome to the hobby (addiction) of crochet! 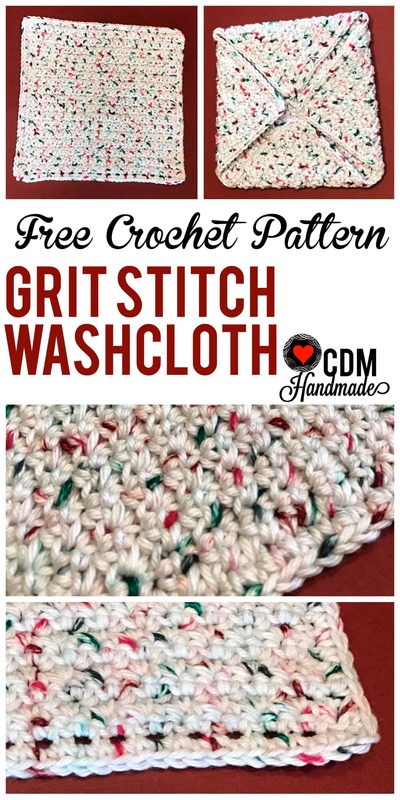 This pattern is very easy to modify to any width you like, your foundation chain just needs to be an odd number! Good luck! Easy enough! Thank you for your reply! Is there a way to print the pattern without all the comments? I love to read the comments,but I don’t like to print them as it takes so much extra paper. Thank you so much! Hi Estelle! I don’t have a printable form if this pattern at this time, but if I am able to get one made in the near future I will be sure to come back to this comment to let you know!